Today i’m writing about my favorite cheap lens for photography. I’ve had it since the beginning and I still take it with me as a back-up on wedding days and use it every time I travel. 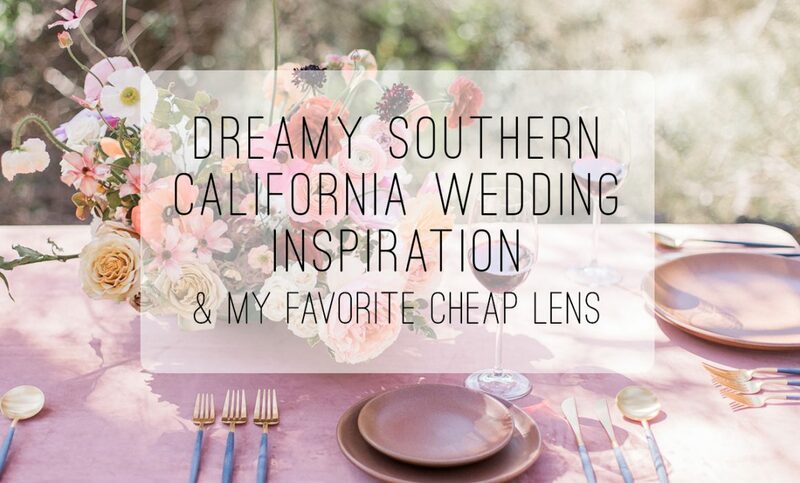 I recently challenged myself to use only this one cheap, affordable, and small lens for documenting a dreamy styled shoot in sunny southern California. 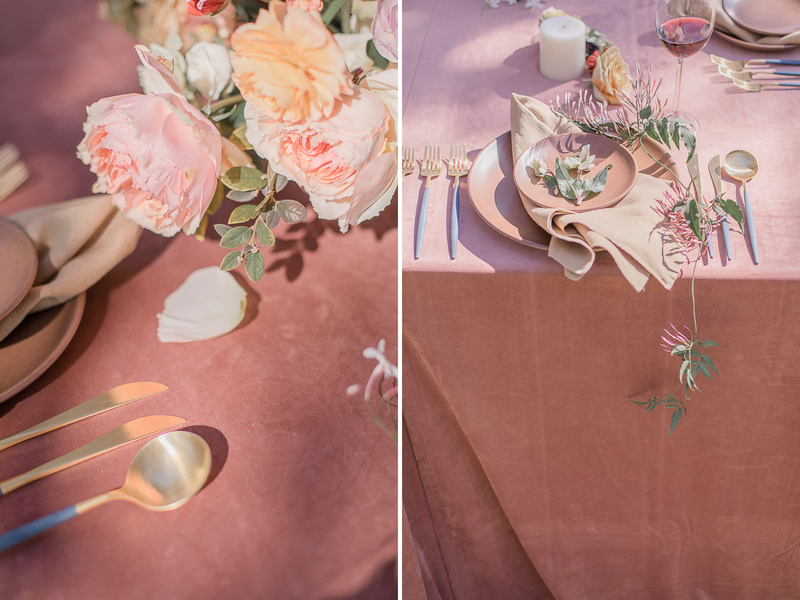 This elegant and whimsical styled shoot was the perfect way to wrap up my recent trip to Southern California. Put together by the incredible stying team at Branch and Cole it was amazing to watch these artists work… and then take part in the creation too! The florals were provided by The Dainty Lion Co based out of San Diego, I really loved her use of color in the centerpieces and bridal bouquet. 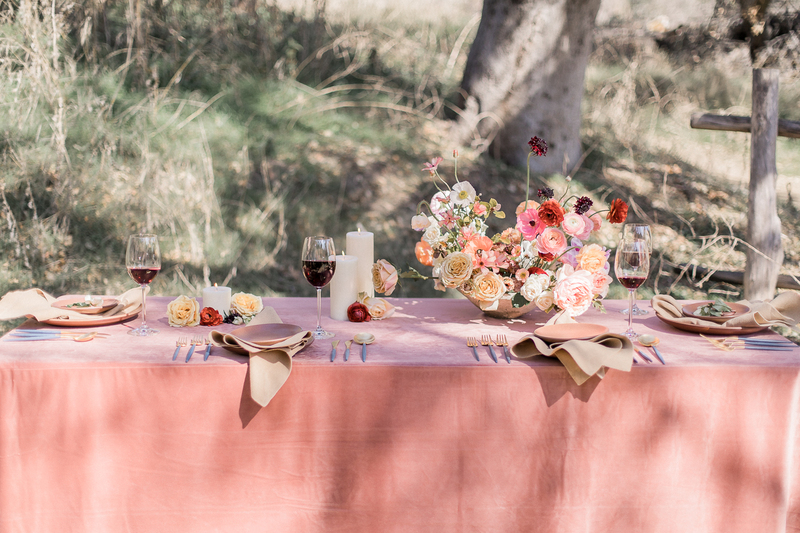 Styled with fresh citrus and velvet linens from La Tavola, it was pure perfection. 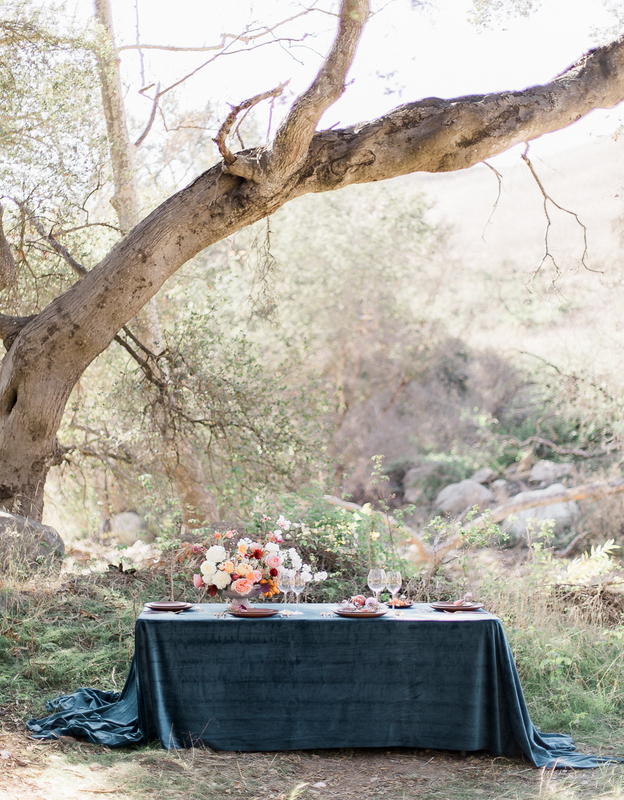 Placing the banquet table beneath the large eucalyptus tree made for beautiful dappled lighting, allowing me to frame the shot perfectly. I loved getting to work with these bold and rich colors, paired them with the very unique gowns from designer Lena Medoyeff and styling by LA fashion director Benjamin Holtrop, it was all right up my alley. Figuratively speaking, of course. I challenged myself at this shoot to use only my smallest and cheapest lens. As a photographer it can be all too easy to always go for the newest and flashiest equipment, but sometimes it’s less about the gear and more about how well you can WORK IT. So, with that in mind, I used only my 50mm f/1.4. I love this lens for traveling because it’s small and lightweight but is a good middle-of-the-road focal point for all sorts of photography. This is also the lens I recommend to anyone learning photography. I suggest buying it even before one gets a full-frame camera, because it’ll up your game so much to learn shoot with a fast prime lens. Quick and versatile, this little-fiddy will let you go from low light to bright daylight, easy peasy, so long as you learn to zoom with your feet of course. If you read your labels carefully, lenses can stick with you for much longer than your camera body… I’ve had this one since the beginning and, 4 cameras later, it’s still going strong! 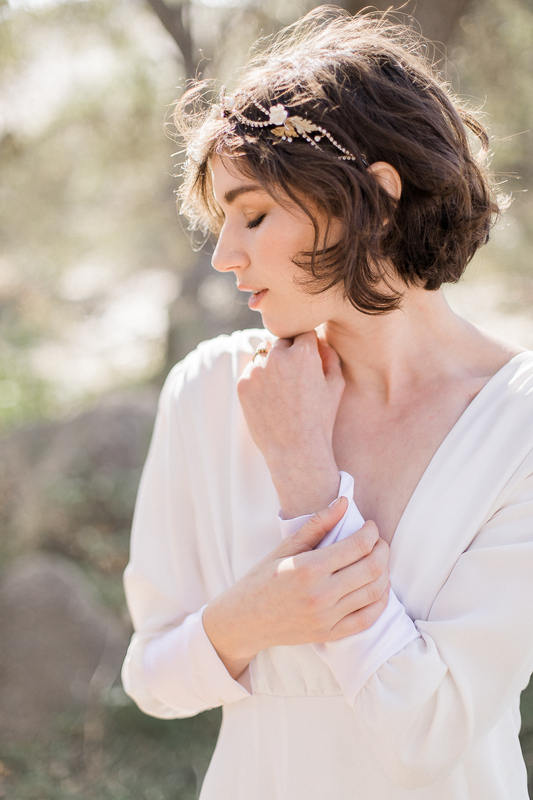 Check out the pretty images below and tell me, what do you think of the 50mm? I couldn’t tell that was a inexpensive lens, the shots were bueatiful, and it didn’t look cheesie or cheap. Love it!! Love all the inspiration. Subtle makeup and bare feet are my fav! I use a cheap lens too for the majority of my work. It’s a 35mm. I absolutely love the colors of this shoot! And 100 times yes to working “cheap” equipment! I use my 50mm 1.8 all the time! 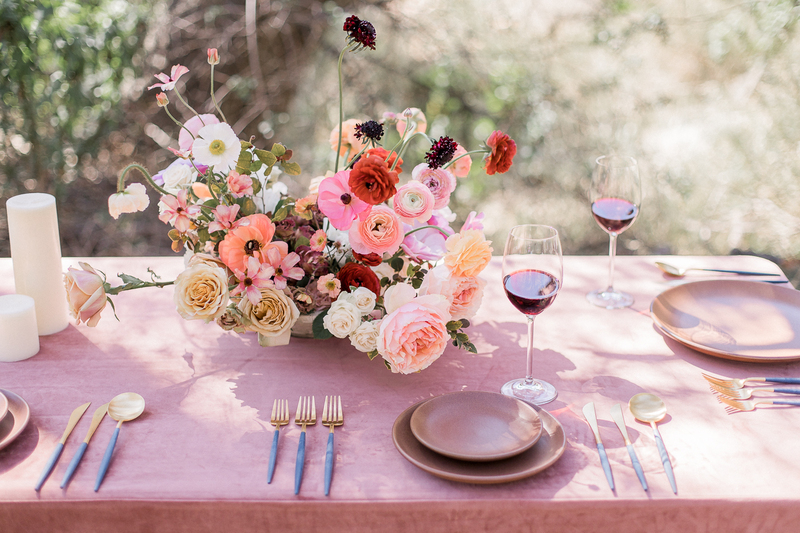 this is totally dreamy! 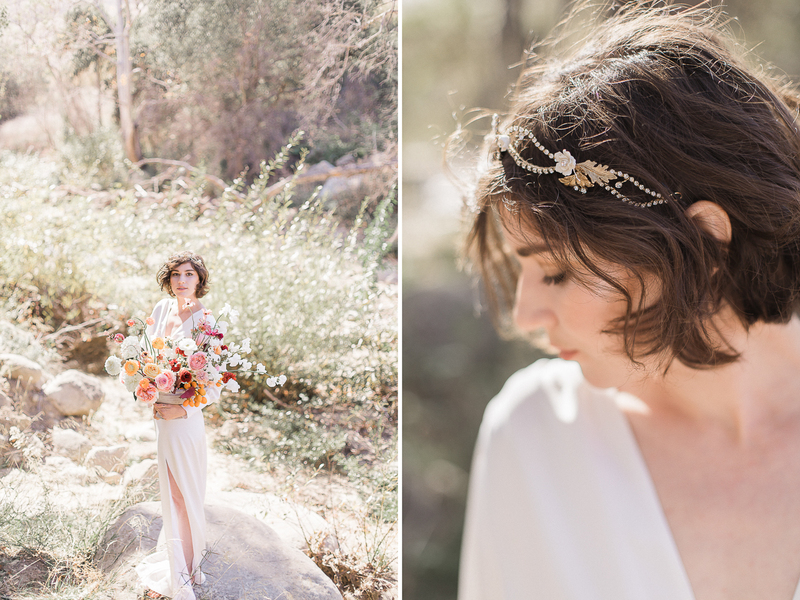 Those colors are perfection and I really love her headpiece ! I never would have guessed this was only with the nifty fifty! You got some amazing bokeh on these shots! I love my fixed 50mm lense. Such a versatile little compact guy. Gorgeous photos! 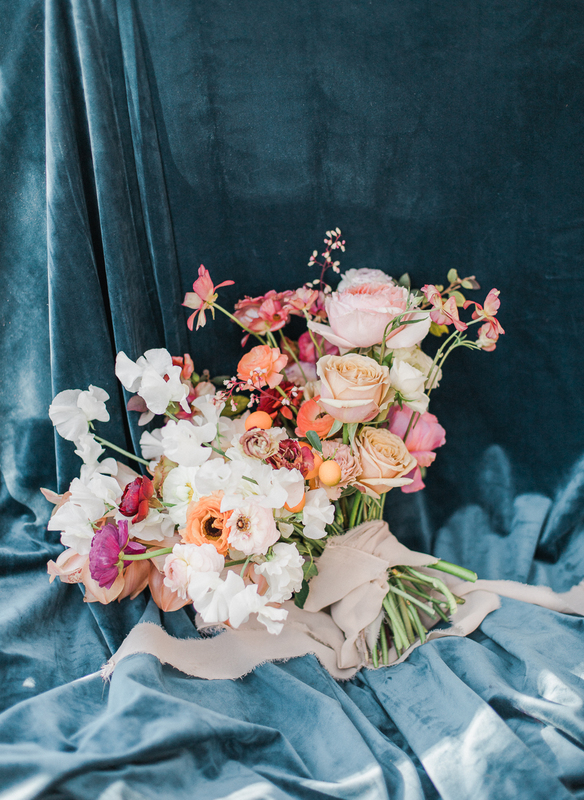 This wedding inspiration is gorgeous! 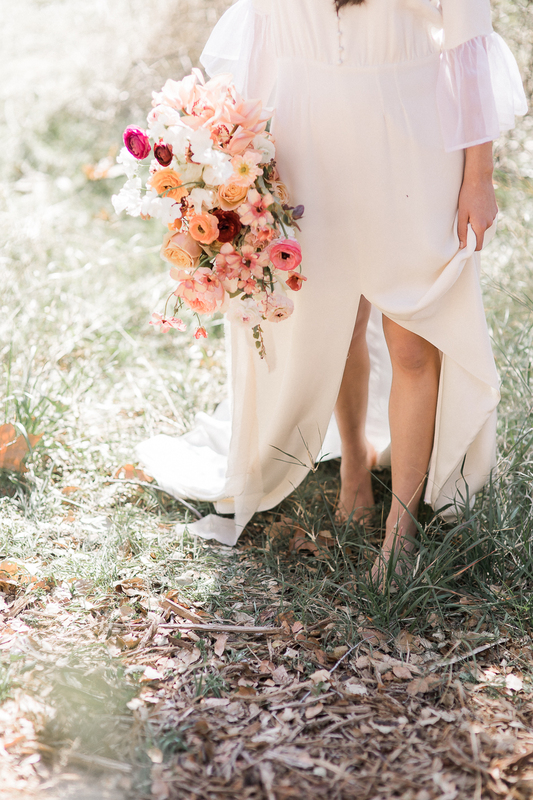 I love the florals and the color palette! Well, everything about this is perfect! I absolutely love what you were able to capture using the 50 millimeter lens. That dappled light and backlighting from the eucalyptus tree is amazing! This is so beautiful. 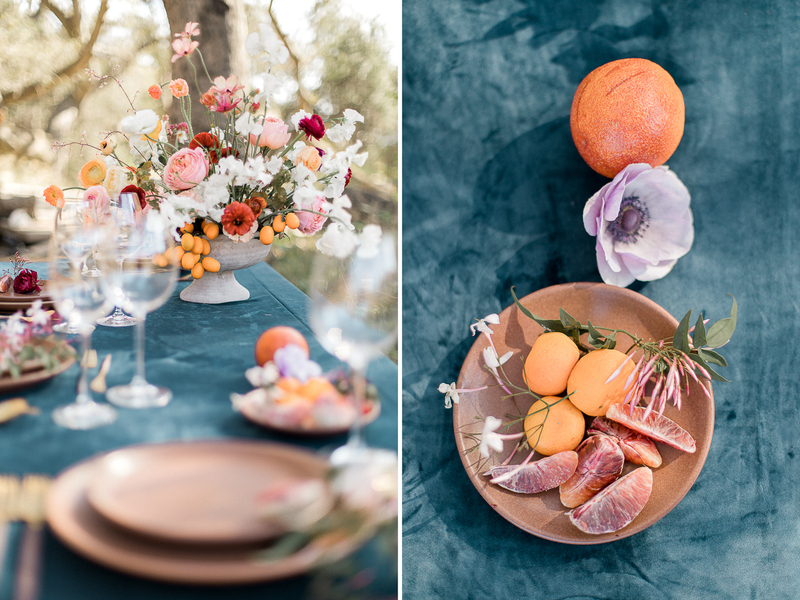 I love everything about it especially the details (flowers, bowls of fruit etc). 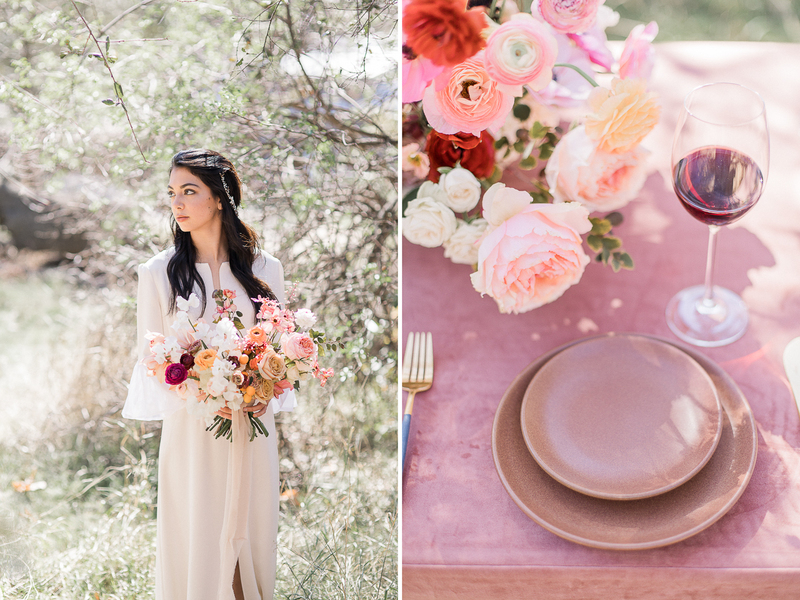 Such a great job with this dreamy California inspired wedding! 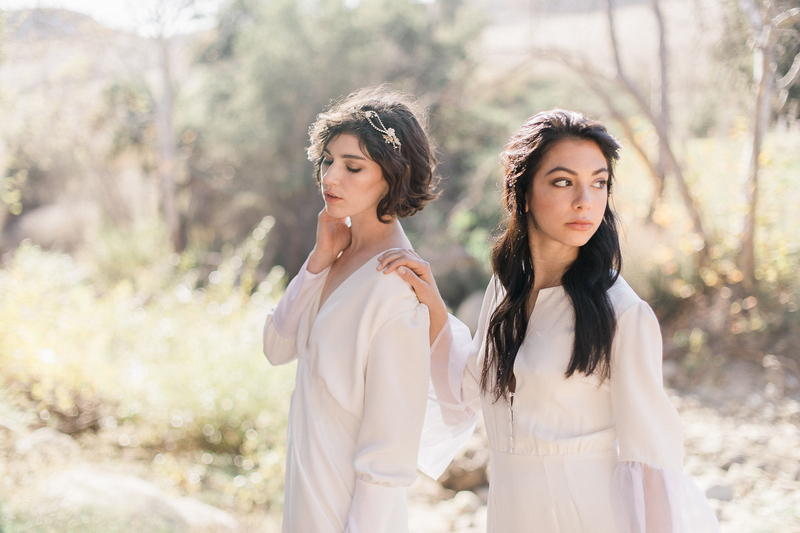 So this is the most stunning shoot! Seriously what a dream wedding! My favourite part was not being all the big fancy fancy lens which just goes to prove it’s all about the photographers! Great job!